A timely help is the greatest of all help. We should be thankful for the person who done it. Besides a formal thanks message, go for an attractive thank you image to convey your gratitude. 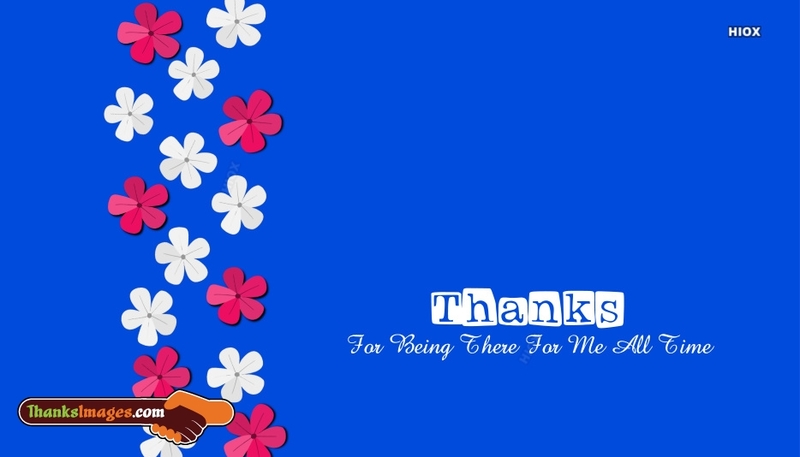 Here is a blue shaded image with the note "Thanks For Being There For Me All Time". Share for free through any social media.